Creating an app able to eliminate all the hassle with booking crews in the film industry. The process of texting, emailing and phone-calling is far too complicated and time consuming when having to fill dozens of positions every day. Helping find a professional film crew fast. Building a fully functional app from the ground up. Finding a solution for registering accounts with a valid email and phone number. Booked’Em lets a producer find a film crew quickly, communicate with them easily and arrange getting them on site or otherwise involved without any unnecessary hassle. Building a remote Ruby on Rails team that would work on the app. Creating a highly customizable platform that would make the booking process as easy as possible. Organizing brainstorming sessions with the client to identify their needs. 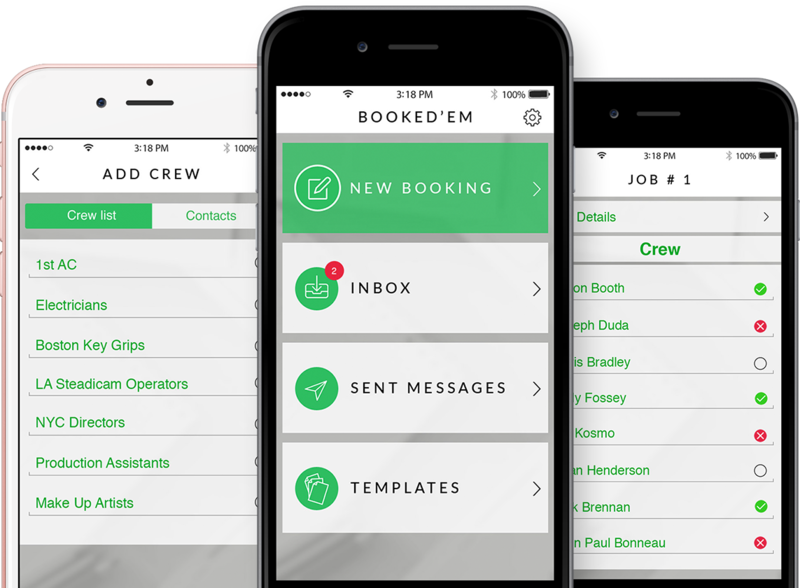 The app allows freelance film workers to keep track of job details when they are on a different set every day. Introducing custom-made solutions, e.g. implementing features on the Cloud Code backend solution. Relying on frequent communication and updates as well as taking care of code reviews and quality assurance tests during the development process. Fast development of quality new features.